We're a family living on the Mornington Peninsula, about 60 minutes from Melbourne. 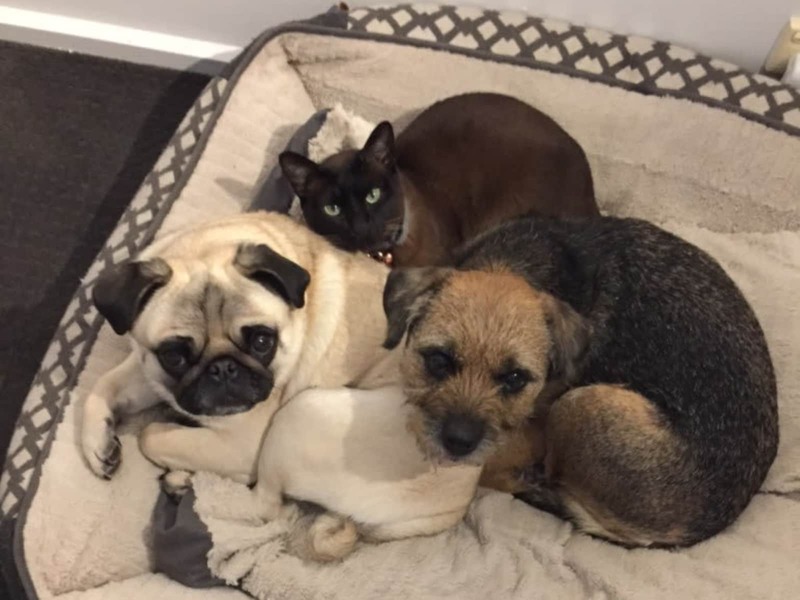 Our three much loved pets need someone to care for them while we're away for two weeks in September: Louie a Pug, Rosie a Border Terrier, and Amber, a Tonkinese cat. Our home is the first stop within the Mornington Peninsula. The area that will be available comprises an entrance, large bedroom, living room, very large gourmet kitchen with dishwasher, dining area, study area, laundry and bathroom. The living space is relatively open planned although the bedroom and and nearby bathroom are more to one side and completely separate. A couple of comfortable outdoor lounging areas are great for relaxing, reading a book or pottering in the garden (which is generally very low maintenance, although the potted plants on the terrace and deck need a drink every day or so). Off-street parking is available and we may be able to provide a car for you to use. Let us know if it's something you'd need. There is a large parkland next to our neighbour's home that you can enjoy walking in. Our dogs enjoy a walk and run there every day. The park is one of Rosie's favourite places to chase her ball whenever she can and Louie chases her. Near to our home are also some of Melbourne's best restaurants and wineries in the Red Hill, Point Leo and surrounding areas--they're all within a 20 minutes' drive or so and well worth a visit if you're a foodie or just want to explore the region's specialities. There are berry farms, olive oil producers, cheesemakers and other gourmands who generate lots of interest among locals and visitors. Our dogs Rosie and Louie, and our cat Amber get along very well, cleaning each other and sleeping together each night. Rosie is a ball of muscle; she is energetic and loves chasing her ball. She'll probably ask you to throw her ball every morning and then some. 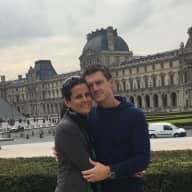 She understands a simple command that lets her know now is not ball-time and she is very understanding, but she does enjoy a trip to the park every day where she'll run and run and run after her ball until she can't run anymore. Often, she would like to keep going so we turn around and head home where she can have a drink and a rest. Louie is the real baby of the family and likes lots of love, patience and cuddles. He's not the sort of dog who'll jump to obey. He cruises at his own pace and likes to do as he pleases which usually involves following Rosie wherever she is although now that he's getting older he's more content to sit on his own. Louie is sweet natured and would be content to sleep and lap up cuddles and pats all day long. His love of Rosie and running after her keeps him fit.